We are always delighted to hear from anyone who is interested in singing with us, or in just finding out more about the choir. 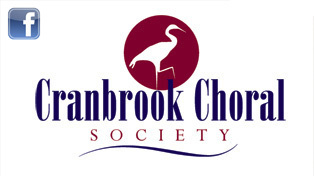 If you have ever thought about devoting one evening a week to making music as part of a big choir, Cranbrook Choral could be just the thing for you. You are welcome to come along for a rehearsal or two to get the feel of the choir before paying your subs. The choir meet for rehearsals in the Vestry Hall, Cranbrook on Tuesday evenings from 7.30pm to 9.15pm. Historically we performed two main concerts a year in November and in the Spring but recently we have introduced a further two performances, one just before Christmas with wonderful seasonal music, readings, rousing brass and congregational carols and a light informal Summer concert with local school choirs. We welcome singers at any point in the year so if you don’t like a big choral sing but like lighter music or Christmas music then please feel free to join us just for those points in the season. You can find details of rehearsals and what we are are rehearsing at any point on the rehearsals page in the members area. You could start by coming to one of our concerts to see if you like the sound of us in full flow ! For details of all these, and of other events, please see our concerts page. If you would like information about joining the choir or if you have any other query, please refer to the Contacts page and drop the membership secretary a line, or simply turn up at the Vestry hall and tell anyone that you are new, and they will point you in the right direction. The annual subscription (2018/19) is £85 single and £145 per couple , with a reduced rate of £30 for students . To keep our, and your, costs down we have changed the enrolment process slightly. Please click this link wolfitha@hotmail.com to inform me that you are re-joining (or sadly not!) and whether you will be paying by bank transfer or cheque. Print the form below*, which should have your details on it, and bring to the first rehearsal you attend, duly signed and modified if required, together with a cheque if appropriate. I include below our GDPR statement that I am sure you have been waiting for with bated breath! The Membership Secretary maintains an electronic form containing the following data, when it has been supplied, on each member; this is shared with the Secretary and Treasurer. Name, Address, Phone number, Mobile number, voice, email address, Gift Aid status, Subscription amount and method of payment. Patron’s data is also held by the Patrons Secretary. Anyone for whom we hold data is free to request sight of the records we hold on them. The four data holders take reasonable steps to secure this information. The only third party with whom we share a limited subset of this data is HMRC for Gift Aid purposes. *Tip for printing. If you click to print this email select only page 2 for printing and you should(?!) get just the form. It may be different for different software, in which case return the whole print and we will sort it out!